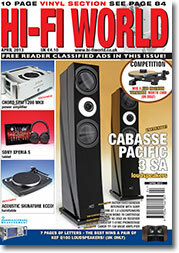 Another Exciting Issue Of Hi-Fi World! 49 Chord SPM 1200 MkII Amplifier: Jon Myles Listens To The Latest Power Amplifier From Chord . 102 Leak Tl12/stereo 20: Haden Boardman Slips A New Phase Splitter Into Leak Valve Amps. 75,77,79 Opinion: The Team Get To Grips With Matters Music, Hi-fi And Life!